Welcome to Marketing Matters! Marketing Matters are stories, tips and solution when dealing in marketing activities. Other areas of marketing such as trends and consumer behaviour will also be posted in this category. 17 July 2007 How To Build Massive Keyword Lists? 13 May 2007 Are You A Smart Marketer? 27 Feb 2007 How To Get Your Subscribers Begging For More? 27 Feb 2007 Is Email Marketing Still Effective? 24 Feb 2007 Can You Really Use Articles to Build Your List? 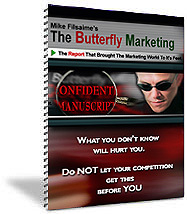 Warning: One of The Most Startling, Confidential, and Talked About Money Making Marketing Strategies Ever Compiled In One Book May Now Be Available To You!